Fresh from helping to update CIBSE’s Guide G on public health and plumbing engineering, Paul Angus shares some thoughts on the risks of skimping on design and installation. Visualise how your life would be impacted without a modern plumbing system. Have you ever stopped to realise where we would all be without running water or flushing toilets? We all take water for granted, in particular the luxury of having hot water on demand. More than we care to admit— well at least that is until a problem develops and you find yourself naked and freezing in the shower on a miserable cold winter morning. Could it possibly get any worse? Sure it can. Your client calls to complain of that new state-of-the art building that has recently won an accolade for sustainability continually runs out of hot water — leaving you feeling slightly hot under the collar! Rising utility costs have a critical role in the use of both hot and cold water in a building. When designing a hot-water system size matters —but energy efficiency matters far more, or does it? On average hot-water systems last from anywhere between 10 and 15 years and rely on a preventative maintenance regime to remain efficient, as well as reduce energy usage for the end user. Various green initiatives, as well as targets to reduce the impact on the environment, force us to becoming experts in ticking boxes from a sustainability perspective. However, are we as engineers relying too much on energy efficiency instead of focusing upon the end users’ requirements? Temperature is crucial, particularly in business today with such a high focus on energy efficiency and escalating energy costs. Good practice in the energy world is to reduce temperatures, as well as implementing water conservation measures to save energy and money. However, an unguided decision to reduce the water temperature in a buildings hot water system from 65 to 55°C has dire consequences. This sort of incident occurred about six months ago — the consequence being one person’s death and another in a critical condition, all due to directives to save energy, which unintentionally increases the risk of legionella throughout the hot-water system. 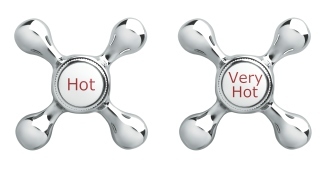 Careful consideration at the design stage of the peak hot-water demand may often be disregarded by the plumbing contractor, resulting in a smaller hot-water unit being installed to save time or, more likely, money as part of the ‘value engineering’ exercise. It is therefore imperative that the consultant overseeing the installation ensures that the design from paper to installation is spot-on. The system design, including pipework routes and diameter of the hot-water distribution system, is particularly important for the hot-water return circuit to ensure the hot-water system operates as intended. 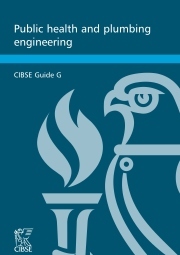 The newly published ‘CIBSE Guide G – public health and plumbing engineering design guide’* can assist in this process. As with the design and installation stage, consideration to the operation and maintenance of the hot-water system is critical. A significant risk exists in the security of both hot- and cold-water supply and distribution, which is paramount to the continuity of a business. In a building, if hot and cold water is not available for any given reason, for a period of time the building becomes uninhabitable due to public-health issues, which in turn becomes unproductive and, as such, a loss of earnings will be incurred, whatever the nature of the business. Concerns associated with aging hot-water plant, pipework and pumps often escalate, and more often than not require immediate action. Taking a proactive approach to upgrades is beneficial. Sustainable hot-water systems, such as ground- and air-source heat pumps, plus solar hot-water systems can be easily implemented on new buildings at the design stage; however, retrofitting can be somewhat troublesome, due to lack of plant room space or the orientation of the building’s roof. Any strategy for replacing hot- and cold-water strategy must to mitigate any risks, as well as fully exploit opportunities. Such opportunities may include a review of the payback and lifecycle analysis of system upgrades, whilst in parallel an assessment of water reuse, recycling opportunities and legionella risk assessments should be fully evaluated. The robust water strategy should focus on operational measures, as well as engineering sustainable solutions. It needs to avoid reactive measures, identifying both short- and long-term solutions that can be effectively staged. It can be aligned with a range of industry benchmarking tools such as BREEAM, LEED and Green Star. These tools can help a building’s performance to be publicly recognised and, as such, increase its overall asset value. A forward-thinking water strategy is an important aspect to a building — not only to mitigate the risk of business continuity but also to take advantage of opportunities, be they environmental, cost or reputation related opportunities. Paul Angus assisted in revising CIBSE Guide G, in conjunction with many practising engineers from around the globe. He is Associate Director at Erbas & Associates and chairman of CIBSE’s New South Wales chapter, based in Sydney, Australia. *All CIBSE publications, including Guide G and ‘TM13: Minimising the risk of Legionnaires' Disease’, are available for free to CIBSE members through the CIBSE Knowledge Portal (second link below), where they can be purchased by non-members.